We have a long-lasting expertise to use natural raw materials for the production of food ingredients and green chemicals. Today, we design and create cell factories for bio-production using systems metabolic engineering. 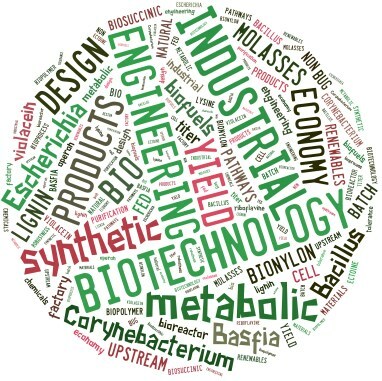 Integrating systems biology and biotechnology with new concepts from synthetic biology, systems metabolic engineering enables the global analysis and engineering of microorganisms and bioprocesses at super efficiency and versatility, otherwise not accessible. Systems metabolic engineering is a major driver and one of the core technologies of global green growth. We use its tools and concepts in collaboration with national and international partners from academia and industry to develop tailor-made strains for the production of fine and bulk chemicals, smart biomaterials, biopolymers and high-value therapeutics.